07 February 2018, 13:01 p.m.
Kotlin itself is designed to be friendly and easy to pick up, especially when in comparison to Java. However, that doesn’t mean there’s not room for improvement. 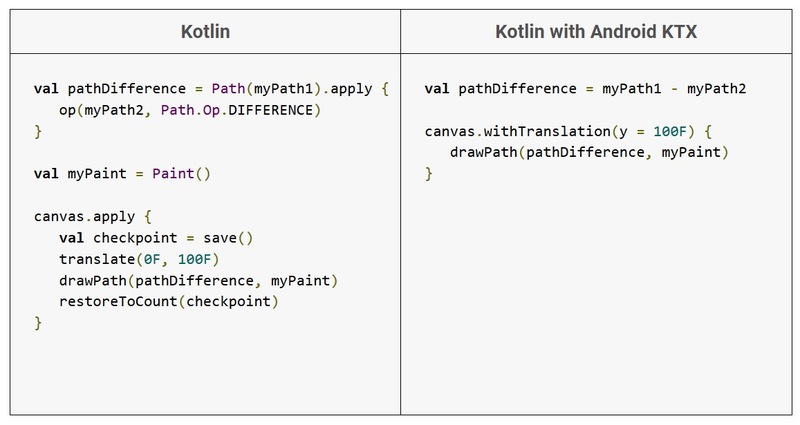 KTX provides an API layer on top of both Android framework and Support Library to make writing Kotlin code more natural. The API is currently in preview but the portion of Android KTX that covers the Android framework is now available in Google’s GitHub repo. What are your thoughts on Android KTX? Let us know in the comments.